After a long, cold winter in northern locations gardeners are celebrating their tulips emerging and blooming! 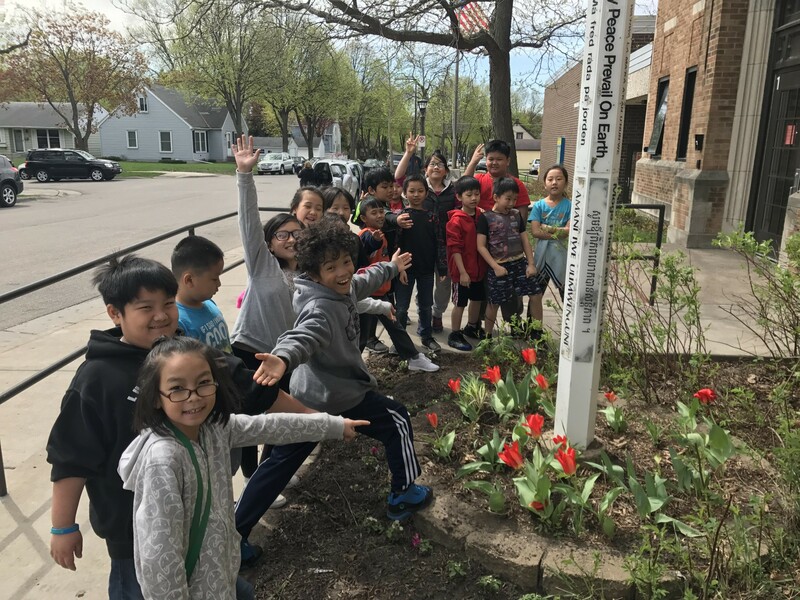 “Phalen Lake kids are so happy about their tulips!” May 7th in St. Paul, Minnesota. There has been such excitement this spring as Test Gardens emerged and bloomed and we learned about plants and climate and geography. There have been hard lessons learned about critters that eat tulips. Only a couple gardens remain to bloom this year. What will happen to your tulip garden this summer? In Hinesburg, Vermont they are planting pumpkins and corn in the tulip garden after the blooms fade away. “Our winter was very long and we are happy to see our tulips emerging.” Saskatoon, Saskatchewan on May 4th. “Long, cold spring with three snowstorms on April 9, 14, and 18th! Tulips are up!” Brookings, South Dakota on May 4th. “Squirrels ate many of the bulbs last fall, and rabbits or squirrels ate many of the buds this spring before they could bloom. Three survived!” Amherst, Massachusetts on May 3rd. Watch the website for the last of the gardens to report in, and have a great summer!